You are warmly invited to attend the 5th Annual General Meeting (AGM) of Bruntsfield Community Greengrocer (trading as Dig-In) to be held in Christ Church (church centre next to the church) at Holy Corner, Bruntsfield, Edinburgh, arrival at 7pm for 7.15pm start on Tuesday 27th February 2018. Please register your interest in the event here so we can cater for appropriate numbers! The formal AGM proceedings will be preceded by ‘Community Confidence and Carrots’: a talk from Rob Davidson, Manager of the Cyrenians Farm Enterprise from where we source a range of organic salads and vegetables. 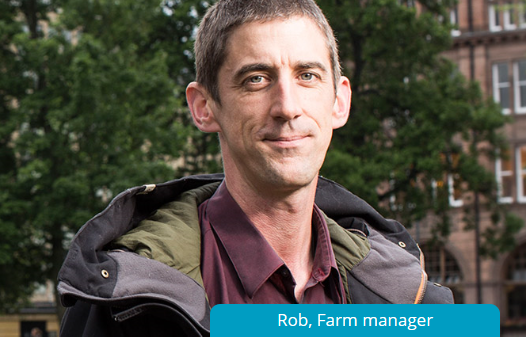 We’re delighted to be hearing from Rob about how by running a working farm they are also able to sustain a home for a community of young vulnerable people, many with experiences of homelessness. Farewell Katariina and welcome Steph! WHOLEmeal Saturday – Breakfast, lunch and tea! Subscribe to our newsletter for regular updates and recipes. Copyright © 2019 Dig In Bruntsfield. Powered by WordPress. Theme: Accelerate by ThemeGrill.